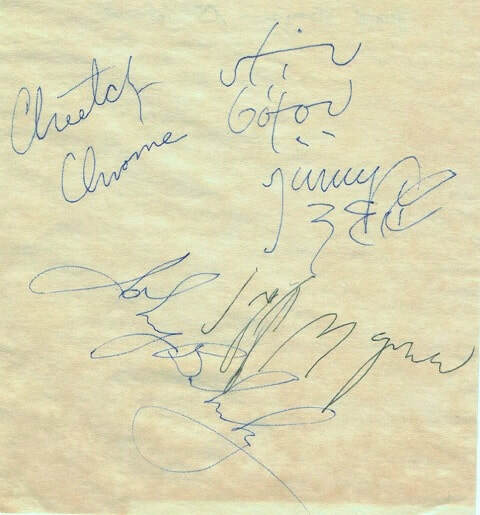 A gallery of rare memorabilia from my personal collection. 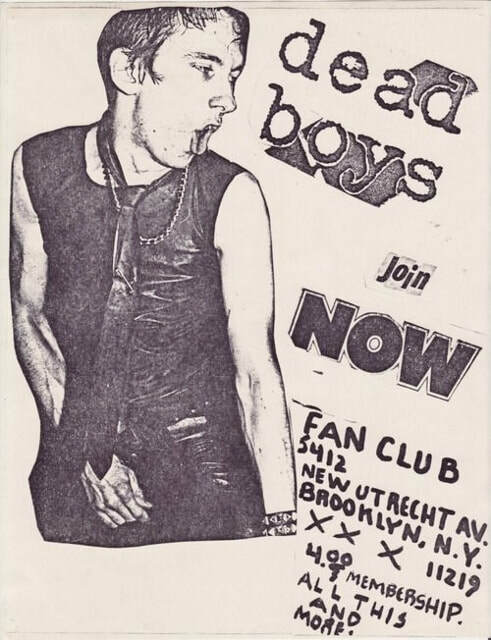 Starting right at the beginning of it all.Gig adverts for the only two gigs Frankenstein ever played. 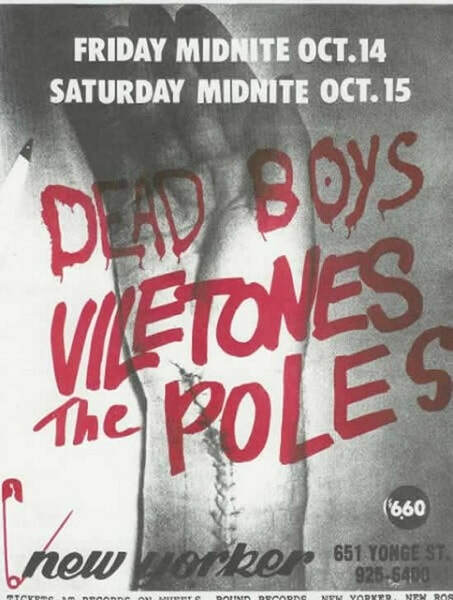 Advert in 'Scene' newspaper for Frankenstein's debut gig on Halloween 1975. 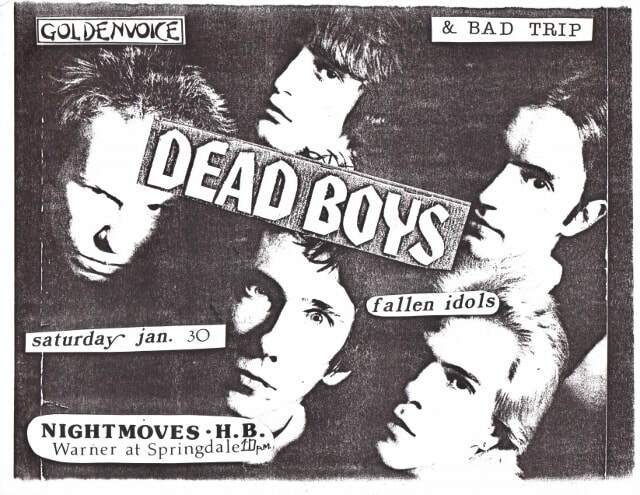 Advert in 'Scene' newspaper for Frankenstein's final gig on New Years eve 1975. 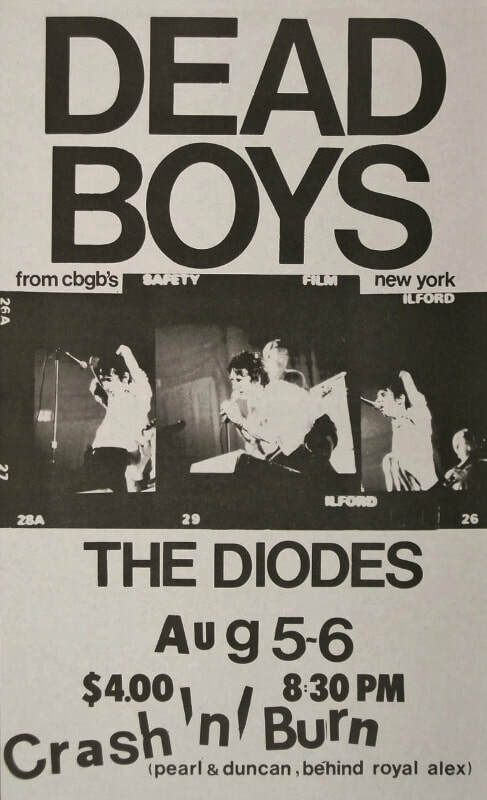 Original concert poster for 'Crash 'n' Burn',Toronto,August 5th & 6th 1977.I acquired from the personal collection of Ralph Alfonso(manager of The Diodes and 'Crash 'n' Burn club). 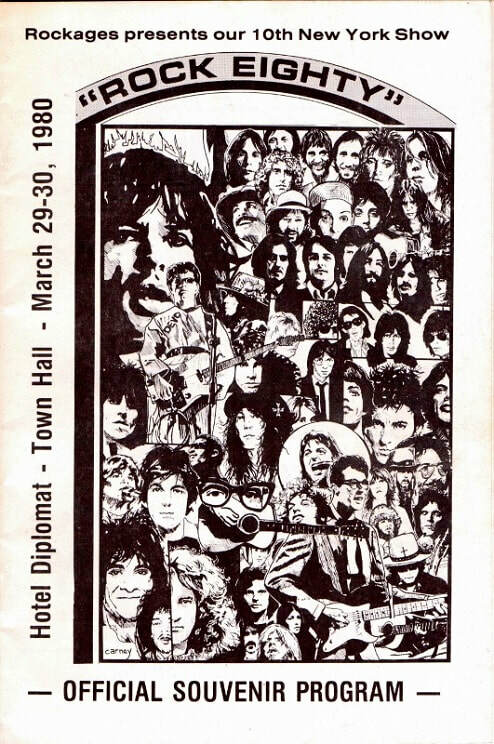 Original flyer for 'New Yorker',Toronto 14th & 15th October 1977. 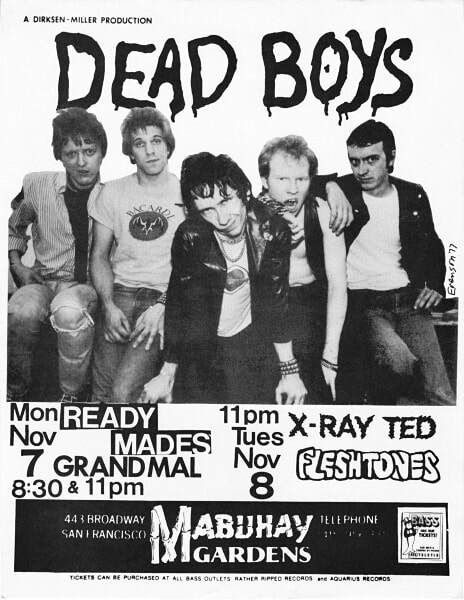 Original flyer for 'Mabuhay Gardens',SanFrancisco 7th & 8th November 1977. 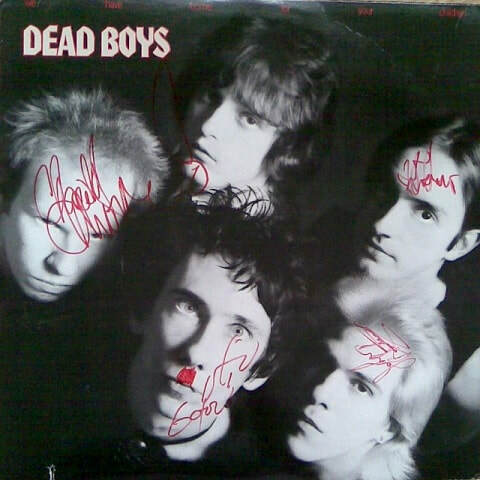 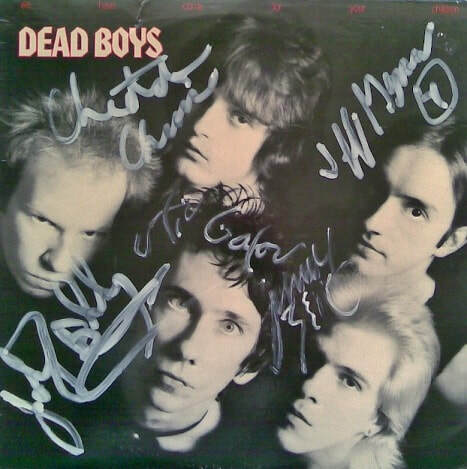 I acquired from the personal collection of Stiv Bators. 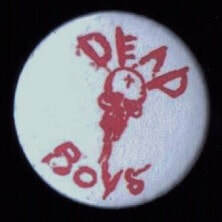 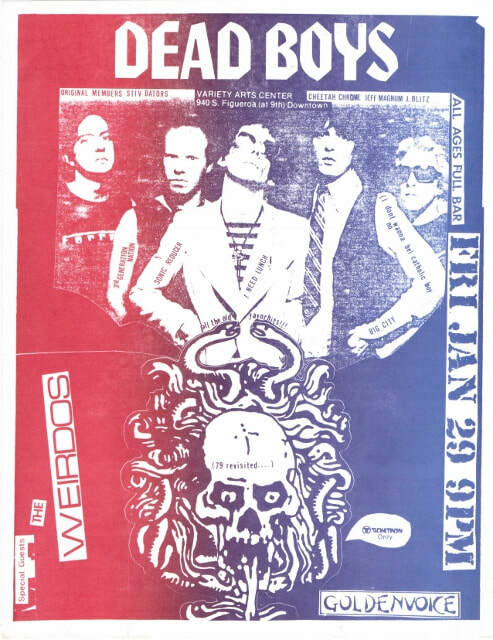 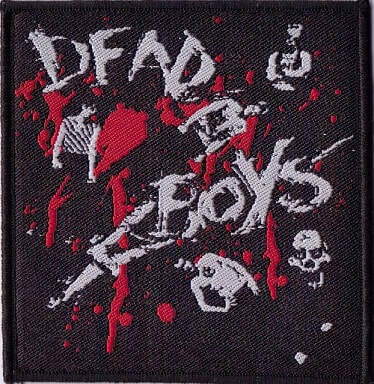 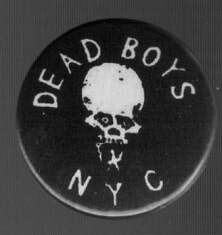 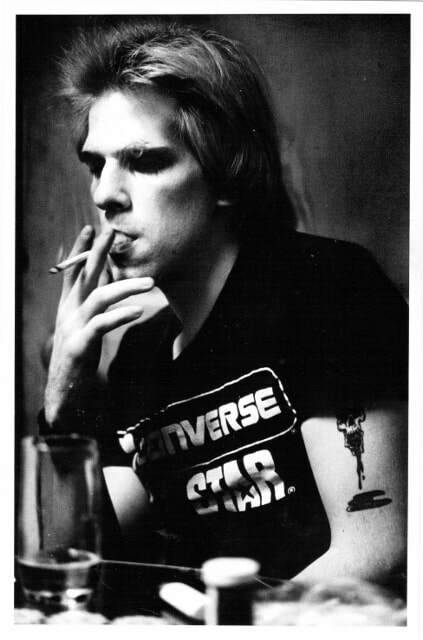 Original Dead Boys fan club flyer. 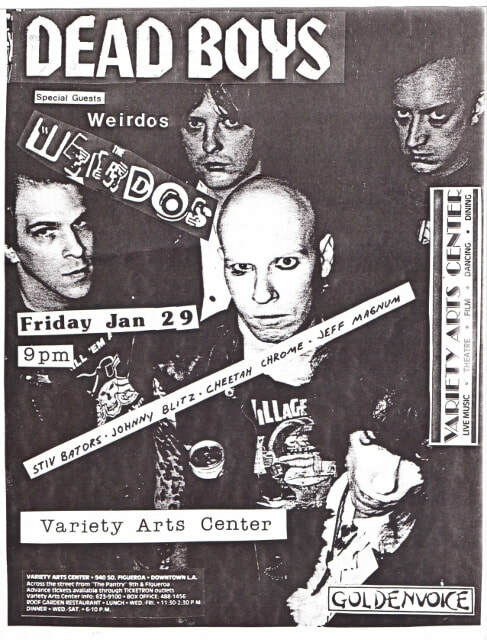 Original flyer for 'Variety Arts Center',Los Angeles 29th January 1988.